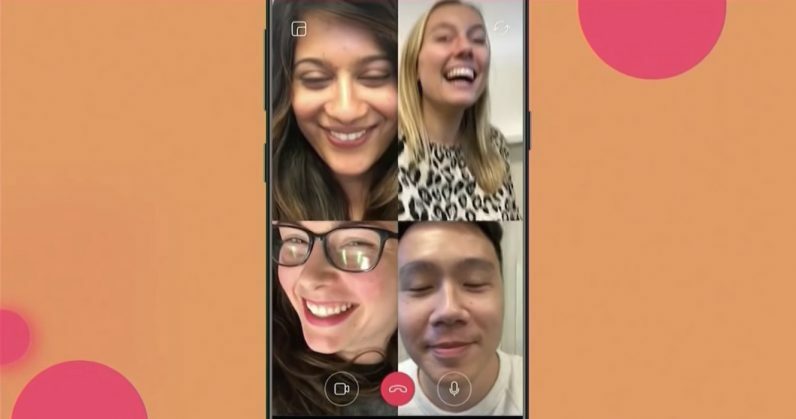 At its F8 conference yesterday, Facebook announced that it’s bringing group video chats to both Instagram and WhatsApp in future updates. On Instagram, you’ll soon find a new camera icon in your Direct conversation screens; tapping it will initiate an instant video call, and you can minimize it to continue navigating across the rest of the app. We first heard of this feature back in March; at the time, I wrote that I wasn’t sure how Instagram would allow you to maintain your privacy and block unwanted calls; right now, you can initiate a conversation with anyone in the app, even if their profile is protected and they don’t follow you. Yeah, we’re gonna want a ‘nope’ button of some sort for that. As for WhatsApp, Facebook CEO Mark Zuckerberg noted that people have already used some 2 billion minutes of one-on-one video calling on the messaging service, so it’s set to roll out group video chats in the coming months. Again, there’s no word on just how many users will be supported simultaneously; it’ll be interesting to see how the app’s interface handles call requests and invites, especially for groups with plenty of members. With that, Facebook has three apps (Instagram, WhatsApp, and Messenger) vying to be your weapon of choice for connecting with your contacts, and they’re starting to feel somewhat similar. That’s not a bad thing yet – but hopefully these products will continue to be able to offer distinctly differentiated experiences in the future – or there won’t be a reason to keep more than any one of them on your phone.